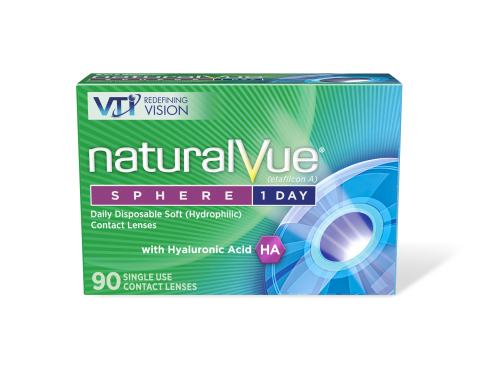 DENVER--(BUSINESS WIRE)--With a goal to meet one of consumers’ top contact lens requirements – comfort, morning and night –Visioneering Technologies, Inc. (ASX: VTI) today introduced their new enhanced NaturalVue® (etafilcon A) Sphere 1 Day Contact Lenses with CleanComfort® technology. VTI leaders made the announcement and presented powerful clinical data at the American Optometric Association (AOA) meeting in Denver that shows patients in the study had better vision and comfort. For more information on the NaturalVue Sphere, visit the VTI Facebook Page for a recording of the press conference at VTI. Visioneering Technologies, Inc., (VTI), headquartered in Atlanta, Georgia, is an innovative new company dedicated to developing new products that improve vision. With a portfolio of technologies, the company uses creative and differentiated design approaches to develop products that enhance practitioner and patient experiences. The NaturalVue brand family currently includes NaturalVue® Multifocal and NaturalVue® Sphere and will introduce NaturalVue® Toric and NaturalVue® Multifocal Toric Contact Lenses. VTI has been awarded 12 patents worldwide with several additional patents pending. Strength in science, an entrepreneurial culture, and the ability to bring technology to life make Visioneering Technologies, Inc. a company to watch. For more information, visit www.vtivision.com or call 844-884-5367, ext. 104. Visioneering Technologies announced the addition of comfort enhancers to NaturalVue® Sphere 1 Day Contact Lenses and presented clinical data at AOA.